On April 7, 1949, in San Marino, California, three year old Kathy Fiscus was playing with some friends in an open field, when she fell into an open well shaft. For days rescue workers worked day and night to save the little girl. But when they got to her, she had died. Louisville Kentucky radio personality and recording artist Jimmie Osborne wrote and recorded a song about this tragedy. It was called "The Death Of Lttle Kathy Fiscus. The song was a top ten hit for Osborne. Legend has it that he gave most of the profits from the song to the Fiscus family. Jimmie Osborne was a very popular recording artist, entertainer and radio personalty in the Louisville area in the forties and fifties. 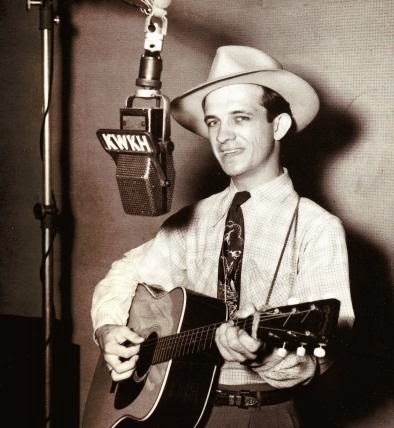 Jimmie took his own life on Dec 26, 1957. He was 34 years old. Please sign he guestbook or leave a comment at the bottom of this page so I will know you were here! Thanks a million, and come back any ole time, as the latchstring's always out! Comments from viewers: You can leave comments too, or sign the guestbook at bottom of page! My name is Kathy Lynn. I was born in April of 1953 and was named for the little girl who fell down the well. When I was a small child, my Mom had the old 78 record of the song about her. Have been searching for it for years know the artist. How thrilled I was today to find it on your site. What memories!! Thank you for making my day! I was born in 1945 and as a small child I use to play this record at my Aunt's house. Unfortunately she got rid of her old 78's before I knew about it and I have been searching for this record. Like Kathy Lynn I was thrilled when I found not just the artist but was able to hear the actual song for the 1st time in about 55 yrs. Thank you so much! Gather 'round boys and girls and we'll listen to Huntsville Alabama recording artist, writer, guitarist and good friend Jack Hall. 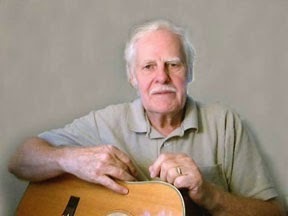 Jack first contacted me back in about 1999 and sent me a list of songs he had written and recorded back in the sixties. When I started listening, I instantly liked what I was hearing. Jack's writing, singing and guitar playing is second to none. Some of these songs are studio songs, some he recorded at home with just himself, a guitar and a cassette deck. Which ever way he got it done, the results were all the same.....outstanding! Also listed here is a couple of songs Jack wrote about me personally, one (Bottles) about my battle with alcohol and another one about a dear friend of mine, and her Gibson Arch Top Guitar.These are two songs that are very dear to my heart and will be treasured by me as long as I'm on this earth. There's also a couple he wrote for our discussion group "An Old Country Song." These are also very special to me, because he wrote the songs for a group of men and women who were and ARE second to none when it comes to their knowledge of classic country music. I might add that their sense of humor and kindness was also second to none! So whether it's a novelty song, love song, sad song or a happy song, if Jack wrote it, then it's a GOOD song! Now, let's rare back and give a listen to what real country music is supposed to sound like! Here's Jack Hall! Please take a moment to sign the guestbook or leave a comment at bottom of page so I and others will know you've been here. Thanks! Give music time to load, then click on song title to listen. Jack talking about the above song "I Don't Need You Anymore"
In 2010 I told Jack the story of a dear friend and neighbor of ours for some 20 years, and about her Gibson Arch Top Guitar that her husband gave her in 1938. Jack took my story, his guitar, a duel cassette deck and wrote this beautiful song "The Lady With The Gibson Arch Top Guitar" Thanks Jack, I will always treasure this!! We were all pretty proud of our group name "And Old Country Song" Jack sat down with his guitar and a cassette deck and wrote this very touching song, titled, well, "An Old Country Song"
During an AOCS discussion thread about drinking I talked about my 35 year battle/love affair with alcohol, and how I quit cold turkey with no professional help. Here's the song Jack wrote about it. He titled it simply "Bottles" Thanks Jack, you sure pegged it! Our good friend Burley Morris in Louisiana wrote this one and sent a copy to Jack in Alabama for him to record. At the time Jack did everything on cassette tape. So he recorded Burley's song on cassette, then sent me a cassette in Florida. I converted it to a digital file, and well, here 'tiz! Please note: I realize no profit from the music on these pages. They are from my personal collection, and are here for educational purposes or maybe to bring you a pleasant memory of what country music used to sound like. Thanks a million for your visit. Please leave a comment or sign the guestbook before departure! And DO come back any ole time, as the latchstring's always out!